Eric wins his third of the summer! 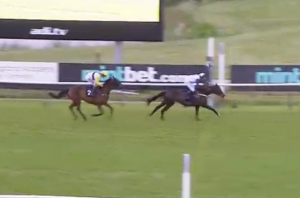 Eric The Third is in the form of his life and the nine year old recorded his third win from seven starts since joining us earlier in the year when bolting up at Newton Abbot yesterday under Alan Johns. Runner-up at Cartmel on his previous outing and a winner at Newton Abbot earlier in the summer (pictured right), he looked an improved performer stepped up beyond 2m4f for the first time in his career, jumping and travelling strongly before putting the race to bed in great style. 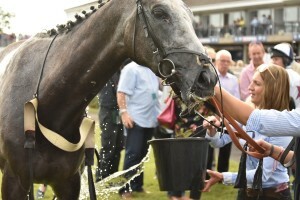 The handicapper will have his say on Tuesday and we may look to enter him up for next week under a penalty, but there is also the option of going back over hurdles, as his win at Uttoxeter in July came over 2m and there is definite scope for him to better that over a longer trip. 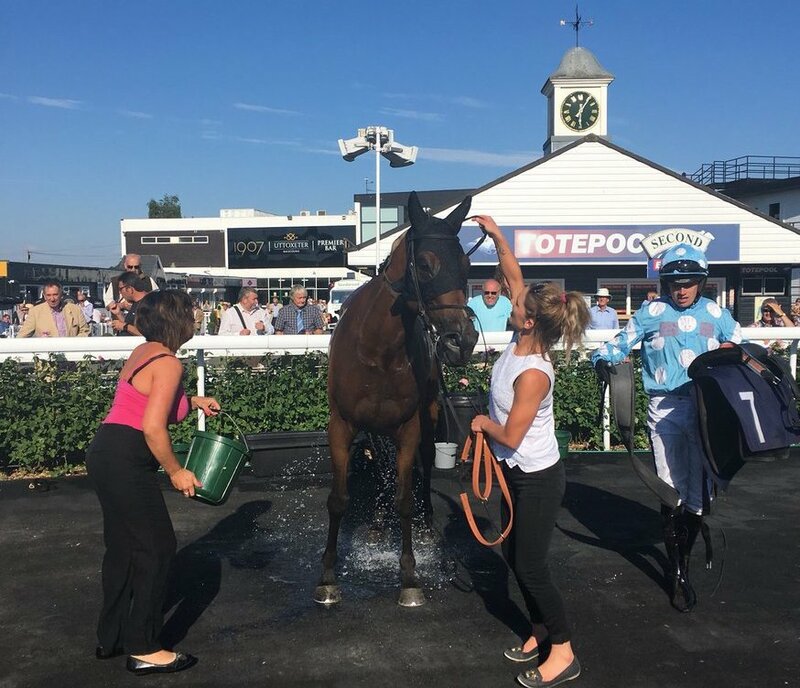 Eric Th e Third is in a rich vein of form at present and the nine year old recorded his second win of the summer at Uttoxeter yesterday under a determined ride from Richard Patrick. A winner over fences at Newton Abbot in June, Eric The Third had finished a close second just over a week ago over this course and distance, but there were plenty of nervous moments through the race, as he never really looked to be travelling. However, Richard kept driving and, a length down at the last, he managed to galvanise the son of Mountain High to get up close home. 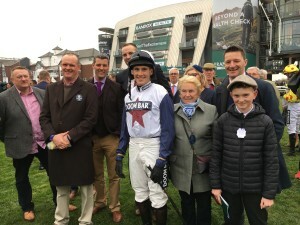 After a couple of quick runs, we’ll give him a couple of weeks now before looking for something else, most likely back over fences as his performance at Newton Abbot strongly hinted that there is more to come in that sphere. 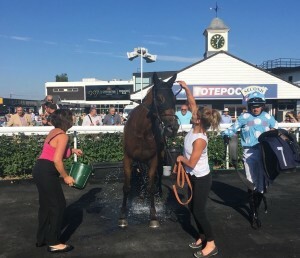 Boethius is beginning to find his feet at the age of five and, having recorded two wins in points this spring, he made his second rules start of the summer a winning one at Worcester under Richard Johnson. He seemed much more at home on a flat, galloping track yesterday, having been a little disappointing around Fontwell last time, and having travelled well throughout, he kept finding once coming under pressure and, under a strong ride from the three-time champion jockey, he stayed on well to hold off two persistent challengers in the run to the line. He shouldn’t go up too much for that win and, a young horse gaining in confidence, he looks capable of adding further successes in the weeks ahead. Presenting Berkley is a lightly-raced eight year old and it was great to see him belatedly get off the mark at Newton Abbot yesterday on just his third start over fences. The brother to high-class chaser Home Farm and last season’s Grade 2 Hurdle winner Beer Goggles has not been the easiest to train, so it was rewarding to see him win in good style under Alan Johns, who has done plenty of work at home on him of late. He looked an improved performer back on better ground and running over the longest distance he has encountered in his career to date, and we’ll look for a similar race for him next time. Congratulations to his owner Optimum Racing, who have been very patient and hopefully will be rewarded with another win next time! A dual winner earlier in his career in Ireland, Eric The Third got off the mark at the third time of asking since joining us this year with an authoritative success at Newton Abbot yesterday under David Noonan. 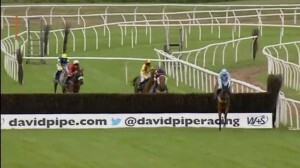 Running over fences for just the third time, he put in an accomplished round of jumping and, hitting the front at halfway, he galloped on resolutely to win by a wide margin in what did look a weak contest. 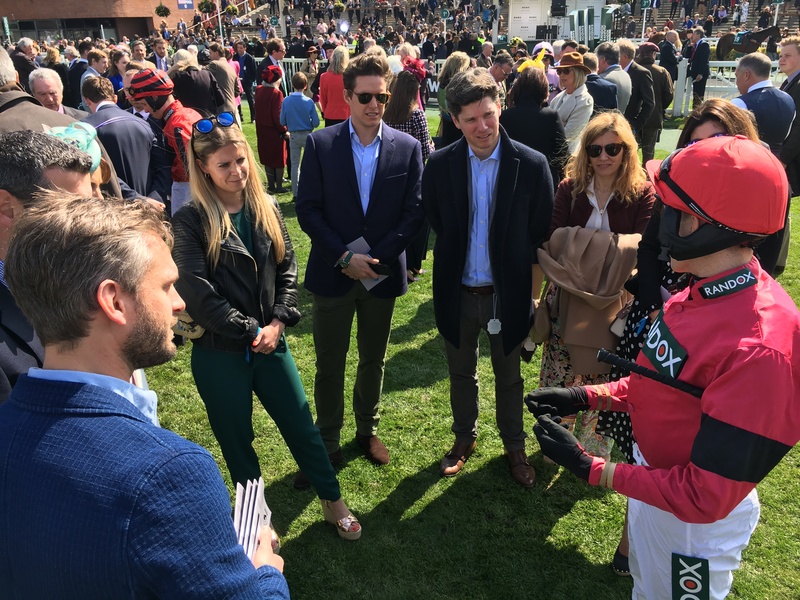 We’ll see what the handicapper does before deciding where he goes next, but hopefully we can find a similar contest for him next time and, with this confidence-boosting success under his belt, he should prove capable of going in again in the coming weeks. Placed on his last two outings for us, Calarules made it third time lucky since joining the yard when winning at Stratford yesterday in the hands of Richard Johnson. A progressive five year old, the grey son of Aussie Rules had looked a little unlucky at Bangor on his latest outing, his first for over three months and, with that under his belt, he produced a career-best performance yesterday, travelling well throughout and putting the race to bed on the home bend, a slight mistake at the last not halting his momentum as he came clear to win by six lengths. The handicapper shouldn’t be too harsh on him and hopefully he can make a bold bid to follow up next time. Congratulations to his owners Oceans Racing! A recent recruit to the yard, Laugharne had run a cracking race on his debut for us at Ascot in February and went on to finish second at Ffos Las last month. 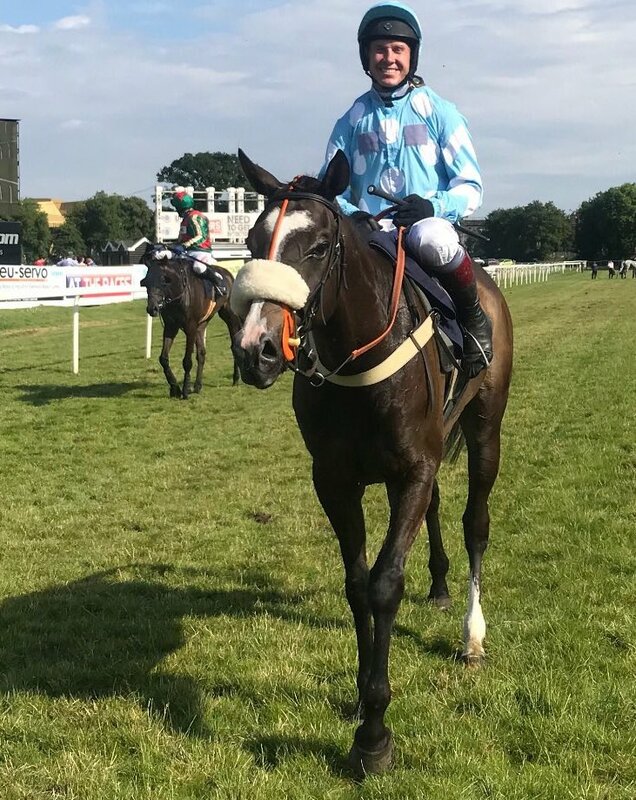 Back on better ground and with the benefit of that recent run, he made most of the running and showed a tremendous attitude to win at Southwell yesterday evening in the hands of David Noonan. The seven year old son of Authorized was a useful performer on the level earlier in his career and, still lightly-raced for his age and after just 12 starts over hurdles, he remains open to further improvement. He will continue over the summer and has lots of options, with the possibility of a return to Southwell for a 3m handicap hurdle on Tuesday 12th June. Congratulations to his owners Oceans Racing! Unfortunately, Alan broke his collarbone when Fields Of Glory fell at Kempton Park on Monday. He is seeing a specialist today, but at this stage is likely to be off for the best part of a month. All the team wish him a speedy recovery! Tara doubles up for our first of the season! 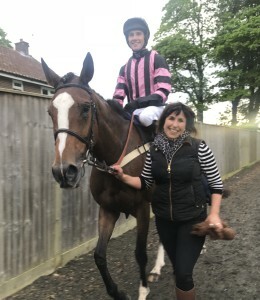 Tara Mac appears in the form of her life at present and the nine year old daughter of Kayf Tara followed up her narrow success over hurdles on heavy ground at Newcastle last month with a ready win back over fences at Fontwell Park yesterday in the hands of Alan Johns, providing us with a first winner of the 2018/19 campaign! Having jumped to the front at the third fence, she produced an exhibition round of jumping and kept galloping resolutely to land the spoils by five lengths. We may look to run her back over hurdles (and thereby escape a penalty) next week and hopefully she can make a very bold bid for the hat-trick. Congratulations to her owners Brian and Wayne Jones! 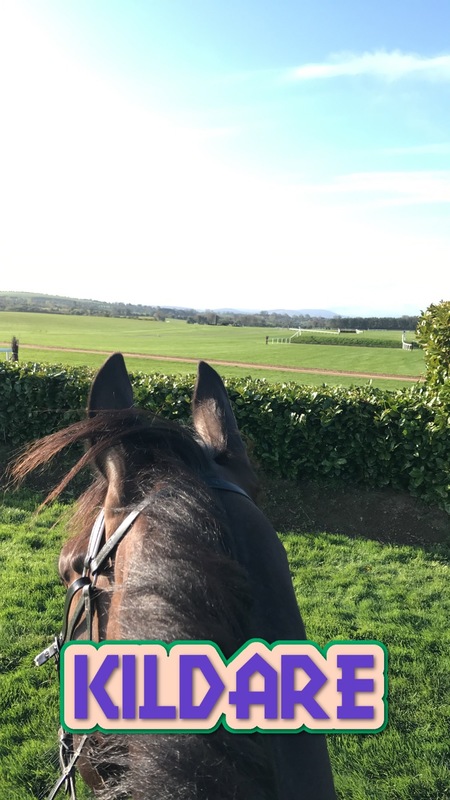 Ten days after shedding his maiden tag over fences at Plumpton, Bennachie took advantage of being able to run off the same mark when landing a competitive handicap chase at Taunton yesterday evening under Alan Johns. The win didn’t look likely on a couple of occasions through the race, but he does stay well and, having come back on the bridle exiting the back straight, he found enough in reserve to hold off the challenges of the two placed horses, with the rest well beaten off. 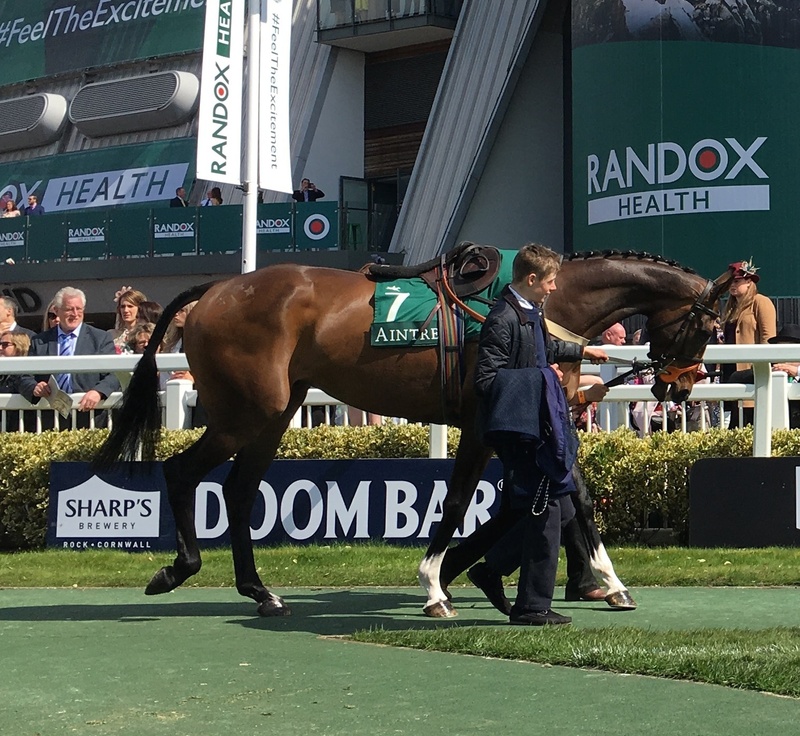 Having had two quick races now, we’ll look to give him three weeks or so before his next run, when hopefully he can make a very bold bid for the hat-trick. Congratulations to his owners Oceans Racing! We have only our third ever runner in Ireland this evening, with Dadsintrouble (pictures above!) 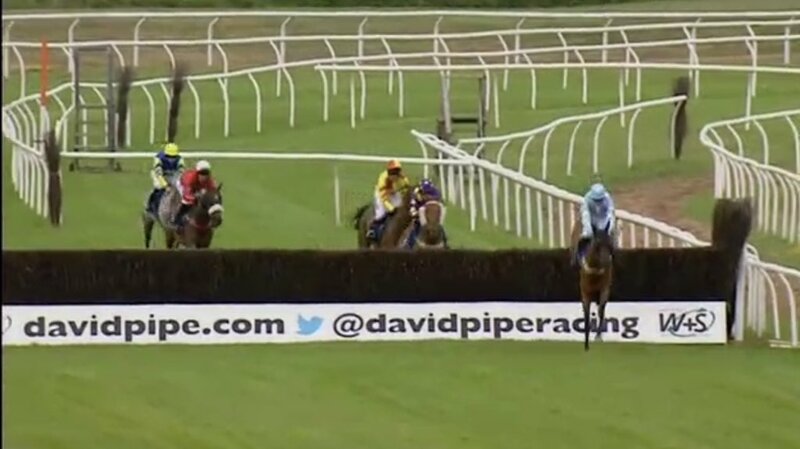 running in the 3m handicap hurdle at the Punchestown Festival, the meeting at which Spirit Of Adjisa landed the Grade 1 Champion Novice Hurdle for us back in 2011. Hopefully he can run a big race for owner Paul Bowtell, who is celebrating his birthday with a couple of days’ racing at Punchestown! 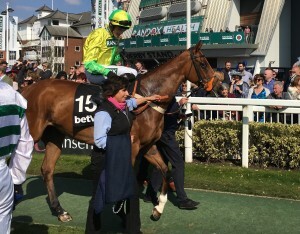 Having finished a close third in the Grade 1 Sefton Novices’ Hurdle at the meeting last year, it has been a frustrating season for Debece, who had a couple of niggles before Christmas and therefore returned to Aintree this time around for what was a very belated seasonal reappearance. Though it would have been lovely to see him win on his comeback, it was a hugely competitive Grade 3 handicap hurdle and, despite looking the likeliest winner entering the home straight and jumping the second-last a couple of lengths clear, he just got tired in the soft ground and faded between the last and the line to finish fourth. 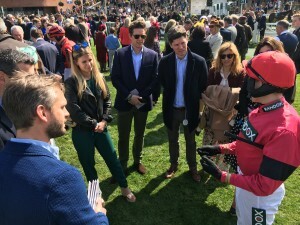 Still, it was a fine effort and he appears to have taken the race very well indeed, so we will now look to give him another run over hurdles in a month or so before he heads out on his summer break. That could come in the Long Distance Handicap Hurdle at Haydock on Swinton Hurdle day, Saturday 12th May. Looking ahead to next season, I am really looking forward to seeing him over fences! Point Of Principle was another to return to the meeting a year on, having finished a close seventh in the Grade 2 bumper a year ago, a race that worked out particularly well. He showed himself to be a smart novice when winning at Ascot in February and went well for a long way in the Grade 1 Sefton here, though he was a spent force after the second-last. A drop back to 2m4f may suit him better, especially on soft ground, and we may well look to give him one more run in novice company before the season comes to an end. He has provided his owners Oceans Racing with some tremendously exciting days out and looks a smart prospect to go handicap hurdling next term. A w ide-margin winner at Bangor in December, Bells Of Ailsworth had run the subsequent Midlands National winner close at Taunton on his next outing and we headed to Aintree full of hope that he could run a big race. Unfortunately, a false start seemed to affect his concentration and he was very slow into stride when they did jump off, losing all chance. It was a real shame and I felt very sorry for his owners Steve and Mick, but hopefully he can make amends next time. He could head to Uttoxeter for the Staffordshire Plate at the beginning of May. Finally, a very fond farewell to one of our former stars, with Saint Are having been retired by his connections after being brought down in the National on Saturday. We were all hugely relieved to hear he had returned back to Tom George’s yard safe and sound after the incident and he fully deserves a long and happy retirement. We won’t forget the two big days he gave us at consecutive Aintree Grand National meetings, especially our maiden Grade 1 win in the Sefton Novices’ Hurdle back in 2011, and that he went on to run in four Grand Nationals for Tom is a wonderful achievement and proof of what a tough, talented horse he is.